The official, definitive book from The March for Our Lives founders about the tragedy at Marjory Stoneman Douglas High School on February 14, the March for Our Lives, and the ongoing fight for sensible gun control legislation in the United States. GLIMMER OF HOPE: HOW TRAGEDY SPARKED A MOVEMENT chronicles in first person essays the events of February 14th and the creation of the March for our Lives from the founders of the movement, including Emma González, Cameron Kasky, Jaclyn Corin, and more. 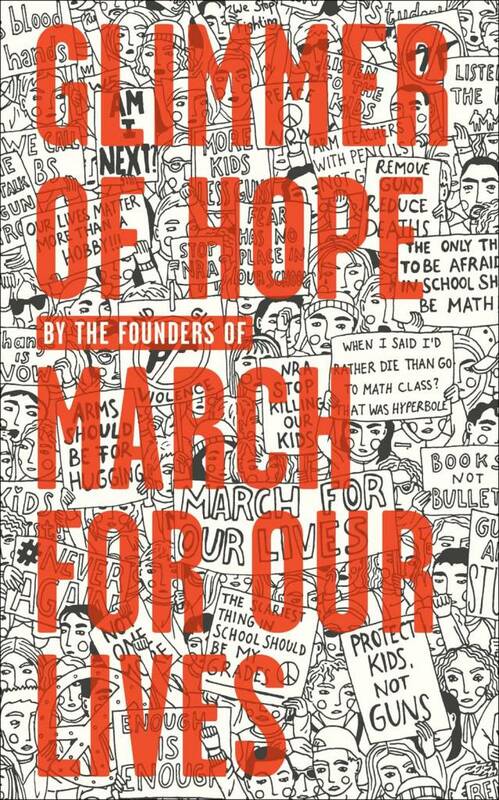 The book also features oral histories of both the first day back to school following the shooting and the March for Our Lives, one of the largest marches in America’s history. On February 14th, 2018, Marjory Stoneman Douglas High School in Parkland, Florida was the site of one of the worst mass shootings in American history, in which 17 students and teachers were killed and 17 more were injured. Instead of dwelling on the pain and tragedy of that fateful day, a group of inspiring students from MSD channeled their feelings of hurt, rage, and sorrow into action, and went on to create one of the largest youth-led movements in global history.